Just give us a call, we'll be happy to answer any questions you may have. WE'VE BEEN RATED A TOP 5 "WORK FROM HOME" BUSINESS FOR FIVE YEARS IN A ROW! Our services are second to none. We've offered reliable roadside service for the USA and Canada since 1926. Our packages also offer convenient travel and medical discounts. We give each one of our associates a website and a unique referral link to give to potential customers.  Whenever someone purchases one of our memberships from your website we'll pay you up to $80 for it. We send out payments via direct deposit every Friday. Our pay period is Sunday - Saturday so you can earn money on your own time, 7 days a week. In 1996, TVC acquired Motor Club of America, which provides motor club services in all 50 states and Canada and has been in operation since 1926. Our TVC Marketing website is located at http://tvcmarketing.com. Virgil Coffee is the founder of TVC. He has worked in the motor club industry for over 50 years. He is responsible for creating and developing marketing plans for multiple successful multimillion dollar companies including Travelers Motor Club and Prepaid Legal Services, in addition to his own company TVC Marketing Associates. Virgil started TVC in the fall of 1988 and has grown the company and his staff to its current status. Mr. Coffee has mentored many successful young businessmen. He has applied with these young entrepreneurs the same training philosophy he has used in developing his own key management team. He has developed a system of checks and balances that allow him to step back from the day to day functions and yet maintain the high standards he demands in the operation of TVC. Prior to joining TVC, Steve was employed in the banking and finance industries. He served as Exec. Vice president, Head of Lending and as a Board member for National Bank of Commerce-Oklahoma over a ten year period. Steve spent 24 years in the banking industry before coming to TVC, and in that capacity Mr. Hanebaum handled the TVC relationship for over 20 years. Mr. Hanebaum has served on several boards and civic organizations over the years and attends most of the nation-wide industry forums. Steve received his undergraduate degree from Oklahoma State University and Masters Degree from Oklahoma City University. Mr. Hanebaum also holds a graduate degree in banking from the University of Wisconsin. Steve is married to Melanie and has two grown daughters also living in Oklahoma. Kent Melton is Executive Vice President of Finance and Chief Financial Officer of TVC Holding, Inc., responsible for directing accounting, tax, audit and corporate administration. He reports to the CEO and serves on the Management Committee. Mr. Melton began his career with the company in 1990 as Chief Financial Officer. Prior to joining TVC, he worked as an auditor in the banking and savings and loan industry. Kent holds a master’s degree in business administration from Oklahoma City University and an undergraduate degree in finance from the University of Oklahoma. A native of Oklahoma City, OK, Mr. Melton is married to the former Kim Clanton and together they have two children, Kole and Kaci. David Kircher is TVC Holding, Inc.’s Chief Operating Officer, President of Motor Club of America Enterprises, Inc. and President of Drivershield ADS, Corp. In these various capacities he oversees the day to day operations of the eight (8) subsidiaries of TVC Holding. In addition, he is the director of the sales and marketing force which is comprised of more than 3,400 independent sales associates. David joined TVC in 1996 as MIS director and COO, taking over the operational facets of TVC. In 2002, Kircher began assisting Virgil Coffee with sales and marketing, and in 2006 moved his office from Oklahoma City, to the sales and marketing office in El Reno, OK. Mr. Kircher joined TVC after eighteen years with Cardinal Paper Company, were he had risen from MIS director to assume the additional roles of Chief Financial Officer and Chief Operations Officer. David has served as President of the National Association of Travel Organizations, which including such entities as Allstate, USAC and National Motor Club, whose purpose is promoting model legislation for the motor club industry with the state legislatures. Mr. Kircher received his BS degree in Mathematics from Oklahoma Baptist University, and his Masters of Arts degree in Mathematics from Indiana University. David is married to his wife of 36 years, Angie. They have two daughters Katie and Rachel, both married, with three grandsons, Kircher, Lawson and John Luke, and a granddaughter, Sophie. Glenn Coffee is a businessman, attorney and family man who was the first Republican in Oklahoma history to serve as President Pro Tempore, the top leadership position in the Oklahoma State Senate. Coffee was also the longest-serving Republican leader in the Senate. Coffee was selected by Governor Mary Fallin to run her transition office and appointed as Oklahoma Secretary of State by Governor Mary Fallin in January, 2011 and served until January 2013. Coffee earned an undergraduate degree in Political Science from Northeastern State University in 1989 and was named Outstanding Senior. He received a law degree from the University Of Oklahoma College Of Law in 1992. Throughout his 12 years in the Legislature, Coffee was honored by numerous organizations for his dedication to education, as well as for his efforts to improve public safety and for his legislation aimed at better protecting Oklahoma’s children. The Higher Education Alumni Association honored Coffee with its Lifetime Achievement Award for his support of higher education, and Northeastern State University awarded Coffee 2003 Citation of Merit, Young Alumnus Award. The Institute for Child Advocacy named Coffee to its Child Advocates Hall of Fame. Coffee received appreciation awards from the District Attorneys Council, the Oklahoma Sheriffs Association, and the State Troopers Association for his support of law enforcement and public safety issues. Coffee was selected as the 2009 Legislator of the Year by the Oklahoma Rifle Association and the Oklahoma Independent Petroleum Association. In 2010, Coffee received the State Chamber of Oklahoma’s Spirit of Leadership Award for creating the first Republican majority in Oklahoma’s Senate history as well as becoming first Republican President Pro Tempore. Coffee received the American Legislative Exchange Council’s 2010 National Legislator of the Year Award. In 2013, Coffee Started Glenn Coffee & Associates, a law firm focusing on government ethics, campaign finance and government boards and commission work. Coffee serves as general counsel for TVC. Coffee lives in Oklahoma City with his wife Lisa and their four children, sons Collin and Blaine and daughters Anna and Kate. Steve Coffee has been managing TVC’s technology and internal software development since 2001. Steve founded his first company in 1992, which focused on software development and consulting in the areas of enterprise financial and manufacturing management systems. After several years of rapid growth and successful projects with large clients such as Coca Cola Foods, ClubCorp and Cash America, Steve sold his consulting and technical recruiting businesses in 1999. Steve earned an Electrical Engineering degree from UT Austin in 1991. The FREE WellCard Health program empowers you to reduce the cost of health care with each use of pharmacies, vision care providers, hearing specialists, prepaid lab test, prepaid imaging test, patient advocacy services and more. And if for some reason in the future you no longer retain your membership with TVC or MCA, you can keep the WellCard as our gift to you.For complete information on the WellCard Health program you can go to www.WellCardHeath.com and click on Get Started and enter the Group ID TVCM. You can also download the WellCard Health app on your smart phone and use the same Group ID TVCM. And remember this is Free to you. Please Understand that this is Not Insurance. It is a discount medical program. It does not replace COBRA or any other medical insurance program nor is it a Medicare Part D prescription drug plan. WellCard Health does not qualify for essential coverage under the affordable Care Act (ACA-ObamaCare). Cardholders are responsible for paying the discounted cost at the time of services from participating providers. WellCard Health has no membership fee nor is participation in any organization or purchase of any good or service required to obtain or use WellCard Health. WellCard Health will not share or sell your personal information. This discount plan organization is Access One Consumer health, Inc., (not affiliated with AccessOne Medcard), 84 Villa Road, Greenville, SC, 29615, www.accessonedmpo.com. This program is not available to residents of Montana, but may be used by non-residents at participating Montana providers. Other state residents please visit www.WellCardHealth.com for full disclosure statement. Not available in Canada. The DMPO does make available a list of all program providers which include their name, city and state and medical specialty prior to purchase, upon request. 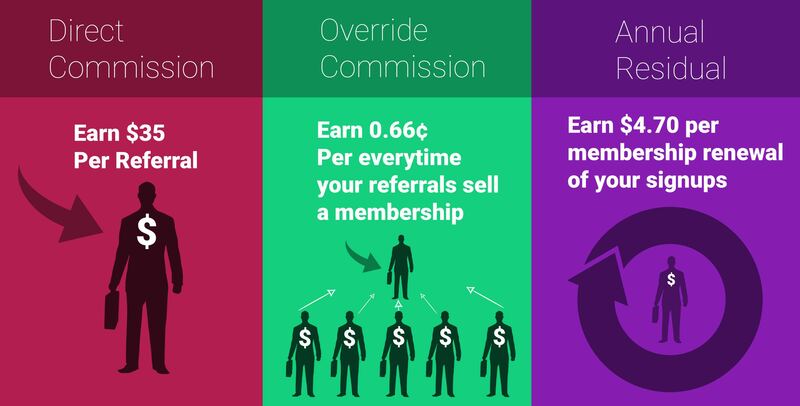 Learn more about our affiliate program with a short, detailed overview. MCA has a vehicle coverage plan available to all customers that starts at only $9.95/mo. We pride ourselves on offering 24-hour towing (up to 100 miles) and emergency services such as fuel delivery, battery jump starts, flat tire changes, and auto locksmith with tons of other benefits to keep you and your family safe. MCA services are available while traveling anywhere in North America (USA & Canada). View more about our memberships here. For a detailed look at our compensation plan, please view our infographics. Motor Club of America's affiliate compensation plan is easy to understand and to explain to others. You'll enjoy the many ways we pay our associates for their hard work and dedication. Enjoy taking advantage of Motor Club of America's many health and travel discounts on services such as hotels, rental cars, vision, and dental. We have a network of the largest brands in those industries. Our perks will give you discounts on everday purchase items and save you hundreds of dollars a year in travel expenses by booking with any of our rental car agencies or hotel chains. When you decide to get started with our program, you'll have all of the right tools that you'll need to get started right away. Not only will you have the support of your sponsor, but you'll also have a network of experienced associates at your fingertips. *Prepaid cards may be declined. Our bank draft option can take up to seven days to process. Debit/Credit transactions are processed immediately. My goal is to provide a quality service that will be there for you and your family during your time of need. MCA provides a huge amount of savings and benefits and have proven themselves to not only be affordable but most importantly reliable. I myself as a MCA enjoy the peace of mind in knowing that I have such a dependable service at hand. That's why I encourage you to sign up today and partake in the amazing savings and services this company provides.